Well, I went for the Tundra Bean Goose at Thorpe this afternoon. I fully expected to turn up, see the goose and leave. In short, and using Jonathan Lethbridge's words, a 'filthy' twitch. It didn't cross my mind that it wouldn't be there, but as soon as I arrived along Mill Lane I knew it had left the scene. Four other birders were already loitering by the fence and none of them was looking intensely at a flock of Greylag and Canada Geese plus a solitary Tundra Bean Goose. They had all flown off sometime after 11.30pm. The geese returned later - at about 4.30pm - but I didn't have time to wait. A flock of at least 40 Siskin were a distraction of sorts in the surrounding trees, but after about 20 minutes I headed home. I contemplated dropping in at Papercourt for a Short-eared Owl fix to make up for the disappointing dip, but a message flashed up on my phone from Johnny Allan. Eight Waxwings had been seen in trees by the Derby Arms car park on Epsom Downs. I took a detour to Epsom. 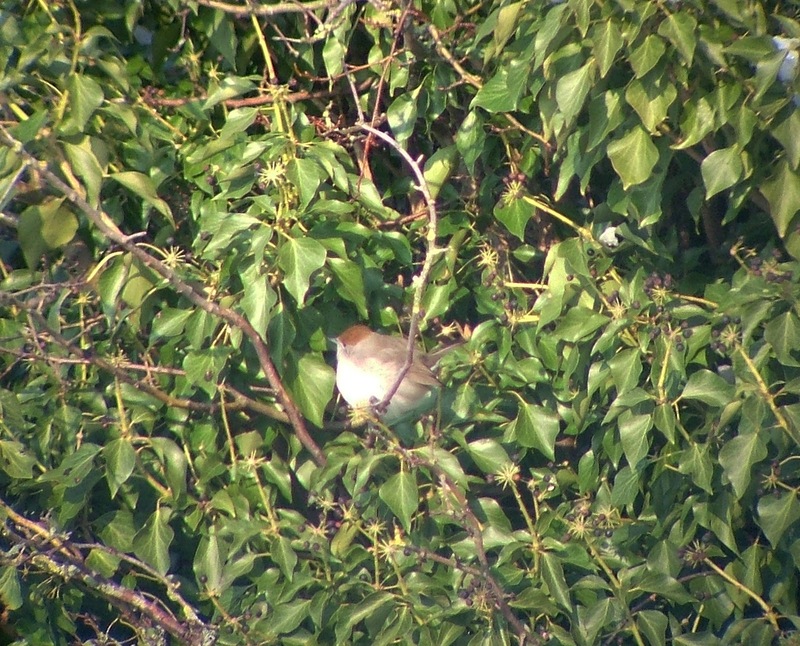 John Benham was there when I arrived, but we could find no sign of the Waxwings, just plenty of Redwings. Dip two of the day. 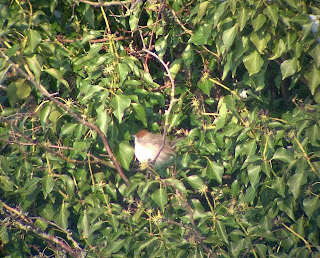 One bonus, however, was a female Blackcap (102) close by, perched in some ivy. Another Surrey tick. Earlier, I paid a brief visit to Holmethorpe. Looking along the brook by the Fordbridge, a flash of flourescent blue stood out against the snow. A Kingfisher (103) perched momentarily on a branch before flying low upstream. Tick two of the day. On the other side of the road towards Mercers Lake I flushed two Water Rail that were close by the wooden bridge. One flew over the road to the brook on the Moors side - seeing one in flight, with its legs dangling, was a first for me. Over at the lake, I saw four redhead Smew. I'm out all day tomorrow, so no doubt a whole host of patch megas will turn up at once. If they do, hopefully they will stay put for at least another 24 hours.